This should be easy, but a lot of visitors can be heard saying "Edinburg" with a hard 'g' as in "Pittsburgh". The locals pronounce it "Edinburrah" and all the other "burghs" (Fraserburgh, Musselburgh etc) have the same ending. The only time you might hear a hard 'g' is when a Glaswegian calls someone from the capital an "Edinburger"... Actually, it's Pittsburgh that got it wrong - I understand that Pittsburgh was named by General John Forbes, a British soldier who was born in Dunfermline and would have known Edinburgh very well. 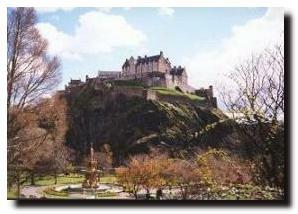 It seems likely, therefore, that he intended Pittsburgh to rhyme with Edinburgh! Illustrating the difference between the hard "cc" sound and the clearing of the back of the throat Scottish (and German) "ch" sound, Ecclefechan in Dumfries gets its name from the Brittonic "egles" for church. The "fechan" element comes from St Fechan whose name was Latinised as St Vigean. Said to be the most photographed castle in Scotland, it is pronounced "Elen donan". "Eilean" is the Gaelic word for island and "donan" is dark. Pronounced "eelee" - on the coast of Fife, it may get its name from the Gaelic "eilean" meaning "island" even though it is now located on an isthmus, but which at one time was an island. The Moray fishing village is another trap for the unwary - it's pronounce Finechty, with the accent on the first syllable! The name is from the Gaelic words "finn" meaning white and "dabhach" meaning a tub or vat. Straightforward enough, but remember that the emphasis is on first syllable of this town in Angus (which used to be called Forfarshire). It is doubtful if there ever was a train which ran at "four-four for Forfar". Freuchie in Fife is pronounced "Froochie" and is perhaps best known for its Cricket Club, who surprised everyone, particularly those in England, by winning the national village cricket championships at Lord's in 1985 and then again in 2007. Cricket is very much an English game so to win the competition at the home of the game was quite an achievement for a Scottish club. Literally translated, Friockheim in the county of Angus means 'Heather Home', with Friock being a derivative from the Gaelic 'fraoch' (heather) and 'heim' from the German for home. 'Friockheim' as a whole, is pronounced 'Free-come'. This Aberdeenshire village name is pronounced "Geerie" to confuse visitors. The area around has a large number of Pictish standing stones and cairns dating from 2000BC. Glasgow does not rhyme with 'how' but with 'go'. (Similarly, you will find that, in the UK, the capital of Russia is pronounced Mosco with the accent on the first syllable). Many locals will pronounce the name of their city "Glazgo" or even "Glesca" but the BBC Scotland announcers use the soft 's' in Glasgow. Of course, if you come from Edinburgh, you will just call the Glaswegians "Weedgies".... 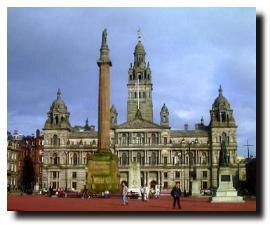 The illustration is of George Square in the centre of the city. Named after King George III, the tobacco merchants were displeased at his contribution to the loss of the American colonies and erected that tall statue to Sir Walter Scott instead of the king! Hawick is pronounced "Hoyck" – as one syllable. Sounds more like a cough or someone clearing their throat! Derived from the words "holy" and "rood" (meaning cross), this corner of Edinburgh gets its name from the Abbey founded by King David I in the 12th century. While some would argue that the "Holy" should sound like the religious word, BBC announcers and most others pronounce it in the same way as Hollywood in California, but with the letter 'r' instead of 'w'. The new Scottish Parliament building is being built at Holyrood. The letter 'a' on both instances are pronounced as in 'hay' or 'say' but the emphasis is on the first 'a'. There is also a good opportunity to roll the letter "r" with gusto! The old town of Inveraray on Loch Fyne in Argyllshire was moved in 1744 by the 3rd Duke of Argyll to its present site on the south of the river Aray ("inver" is Gaelic for river mouth) so that the Duke could have more seclusion in his new castle. Islay, the lovely island is the most souherly of the Inner Hebrides and home to a good number of whisky distilleries, is pronounced "eye-lah" with the accent on the first syllable and the 's' and 'y' silent. Islay is sometimes referred to as "known as "The Queen of the Hebrides". On the other side of the country in Angus, the lovely Glen Isla is pronounced the same way. Pronounced, surprisingly, "Kinnuchar", this was where witches in the East Neuk of Fife were executed - by drowning in the loch. 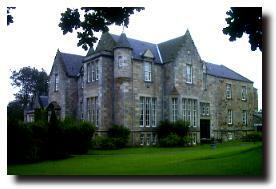 There is a Kilconquhar castle (pictured here) which has now been turned into time-share apartments with leisure facilities. Pronounced "Kil-ma-comb" this small town in Inverclyde (part of what used to be Renfrewshire), has a double connection with the church - the Gaelic word for a monk's cell was "ceall" and this has become "kil" in hundreds of Scottish placenames. And "colm" is from St Columba. There never was a "King Ussie" as this Speyside town's name is pronounced "kin-yoosie" with the emphasis on the second syllable. The name comes for the Gaelic words 'cinn ghiuthsaich' meaning 'at the head of the firs'. This small town near the Solway Firth in Dumfries and Galloway is another of those names designed to catch out the unwary travelers. Pronounced "Kirkcoobray" with the accent on the second syllable, it was once the county town of Kirkcudbrightshire before local authority restructuring in 1975 swept that away. The ruins of MacLellan's Castle are a prominent feature in the town. Pronounced "Kircawdie" this Fife town is known as "the lang toun" as it stretches along the coast from Dysart to Linktown. It has a long industrial heritage (Adam Smith wrote the "Wealth of Nations" using his observations of local industry and the division of labour) and in the mid-19th century linoleum became an important element, giving the town its distinctive aroma! Pronounced "lah-rig grew", this is the classic walk through a deep mountain pass through the wild Cairngorm mountains, cutting this range in two. "Lairig" is the Gaelic word for a pass between hills and there are a number of these in the Highlands. Pronounced "Lez-ma-hay-go" with accent on the "hay" gets its name, at least in part, from the Gaelic word "lios" meaning a garden (especially of a monastery).